Disneyland Paris offers some amazing, unique attractions! If you have limited time or a limited budget but are able to make your way to Disneyland Paris, there are 5 attractions you must find a way to ride. When we went in the summer of 2016, we were surprised at how many attractions were down for rehab. Big ones like Big Thunder Mountain, Star Tours, Rock ‘n’ Roller Coaster, the Disneyland Railroad, and the Studio Tram Tour were all down at the same time. While we totally understood they were preparing for the 25th anniversary, it was still disappointing to have so many unavailable at once. A ton of smaller attractions were also closed which made me wonder about the state of the park. Even still, we found that there were definitely some great and unique attractions that make Disneyland Paris a wonderful destination for the die-hard Disney Nerd. 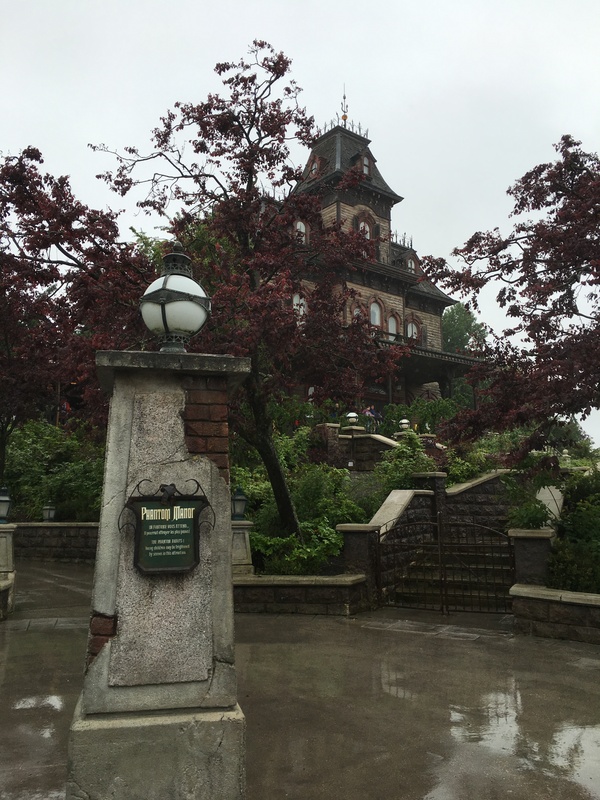 #5 – Phantom Manor – I’m the only one in my family who put this on my list of 5 favorites, but I loved it because it was thematically different than all the other Disney theme parks. It really carries through on the murderous bride motif all the way through and the journey through the graveyard outside the mansion is an Old West town which fits in this version since Phantom Manor is situated in Frontierland. The ghostly characters are really different and the tenor is more interesting than frightening. All in all, a top 5 for me. #4 – Crush’s Coaster – Coming in at number four is an interesting ride over at Walt Disney Studios Park called Crush’s Coaster. Named after the gigantic turtle from Finding Nemo and the new Finding Dory, the vehicle is shaped like a turtle shell and you ride along as if you were in the EAC (East Australian Current). What makes it different than most Disney coasters is how the ride vehicle seems to freely spin during certain parts of the track. It is also very well-themed so it’s not just a coaster loosely based on a movie. There are real elements that put you into the action of the film. #3 – Ratatouille: L’Aventure Totalement Toquée de Rèmy – Known mostly as the Ratatouille ride, this Walt Disney Studios Park adventure comes in at number three not for action thrills, but for the total immersion into the Ratatouille universe. Utilizing a trackless ride system, you are shrunk to the size of a mouse and journey not just through Remy’s kitchen, but also through the story of Ratatouille eventually joining the great chef as the head of his own restaurant. At the end of the ride, you exit near Bistrot Chef Remy where you can imagine that the kitchen you just experienced is the same one your food is coming from. Overall, this mini-land is more than just one attraction but a total environment. And now that it’s coming to WDW, you may not have to fly at all to experience it. 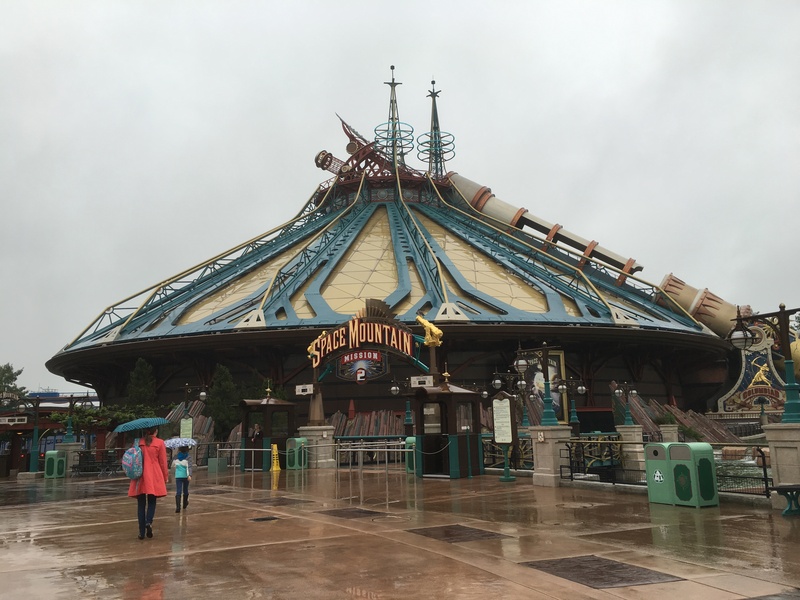 #2 – Space Mountain: Mission 2 – Unlike any other Space Mountain, this Discoveryland attraction is aptly named “Mission 2.” A wild ride through space set in the fictional Jules Verne universe, it is the only Space Mountain with both an inversion and a loop. Overall the theme, the colors, the effects are all extremely well done. It is a much more thrilling ride and can shake you up from head to toe. But such an amazing ride it deserves the number 2 slot. 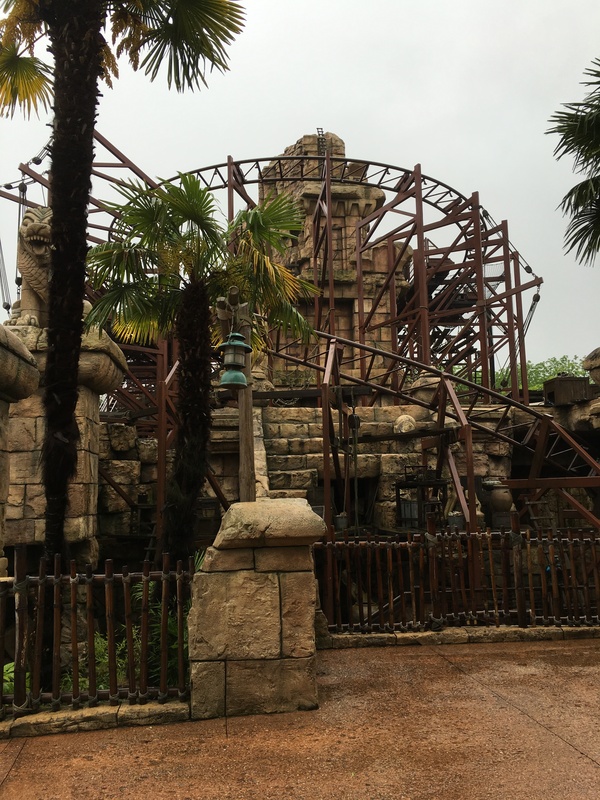 #1 – Indiana Jones and the Temple of Peril – Taking the top spot is the high-speed thrilling roller coaster, Indiana Jones and the Temple of Peril located in Adventureland. Very similar to Raging Spirits at Tokyo DisneySeas, this thrilling ride could stand to use some additional Indiana Jones elements in the ride to fully bring out the theme, but it is such a good roller coaster in such a compact space it deserves the top spot for sheer fun and thrills alone. There really isn’t much of a story associated with it, which is why numbers 1-3 on this list are nearly interchangeable. Each has its strengths and weaknesses, but it is such an overall good attraction that it won out over the more violent Space Mountain: Mission 2. Garnering honorable mention is, believe it or not, It’s A Small World. The version at Disneyland Paris is impressive. Perhaps because France is situated so closely to so many other countries, it does a great job of really representing the world. Nations in Africa seem to be better represented and there is a good balance among all the Asian countries. It seems like more European countries are highlighted than in other versions. But what really got me was their representation of North America. Mexico and Canada both received their due spot and they did a better job representing the United States than any other park – even the US parks! They do not have a “Disney-fied” version with Disney characters in their native lands, but I think that makes it better and returns it to a celebration of the world instead of a celebration of Disney in the world. If you’re visiting Disneyland Paris, be sure to check out their closed attractions and hopefully these five won’t be on that list. Other notables are Alice’s Curious Labyrinth and Cinemagique which are unique attractions to Disneyland Paris and definitely worth looking into. Bon Voyage! Read about the pros and cons of the Disneyland Hotel at Disneyland Paris! What should you know before visiting Disneyland Paris? This was really interesting, thanks for sharing! That manor looks so amazing!! I’ve watched videos of it online and think it would be a good one to experience. Soooo excited that Epcot is getting Ratatouille!!! Hope fully it’s similar to the one I’m France.